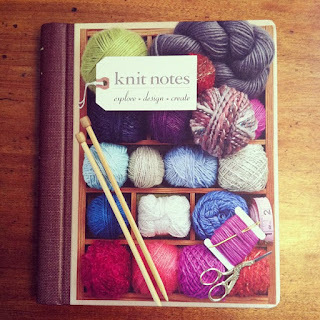 I discovered this mew book, Knit Notes, at our local craft store a few weeks ago. It is a newly published title from Sixth and Spring books, and is changing my design work in wonderful ways. For a few months, I have tried designing directly on the computer, with zero success. I have finally accepted the fact that I am a messy scribbler; I love brainstorming, scratching, fiddling with numbers, and doodling on odd bits of paper, labels, and cardstock. I write most of my designs on battered index cards, and keep a large jar of yarn labels and swatches in my studio closet. 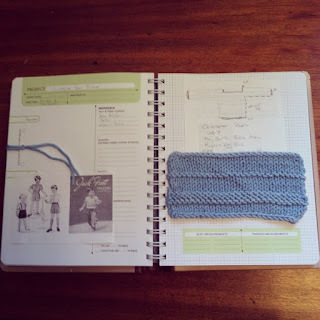 - blank pages for pattern stitches, photos, and yes, doodling! 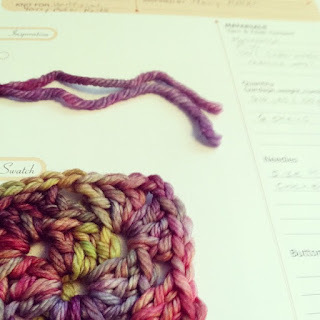 This is a recent page, and includes yarn, a swatch, rough sketch, sizing ideas, and a few snippets from my mood board. It is for a brand new pattern that will be published next week, I can't wait to share it with you! Thanks, this little book has helped me so much in just a few short weeks. 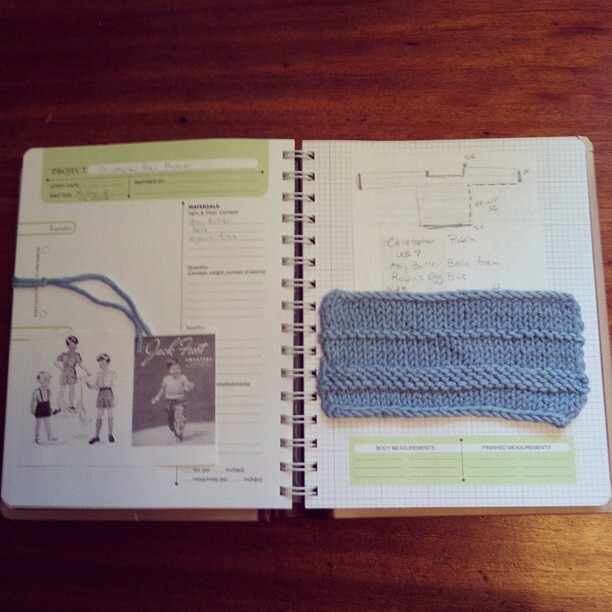 My new pattern will be published online, I will be sure to share it with you! I am glad I am not the only one who still loves the scratching of pencil on paper! Yes, the coffee rings, handwritten notes, and meanderings of pencil and pan are a treasure for those for follow after us in this life! I so need something like this ! I have notes on the computer, in a sketchbook, on my iphone, on scraps of paper.... a mess. My only quandry is are are the pages removable or moveable ? And is it small enough to fit in my shoulder bag ?! Oh, that is a good question! The pages are not removable, so it is something that stays all together. 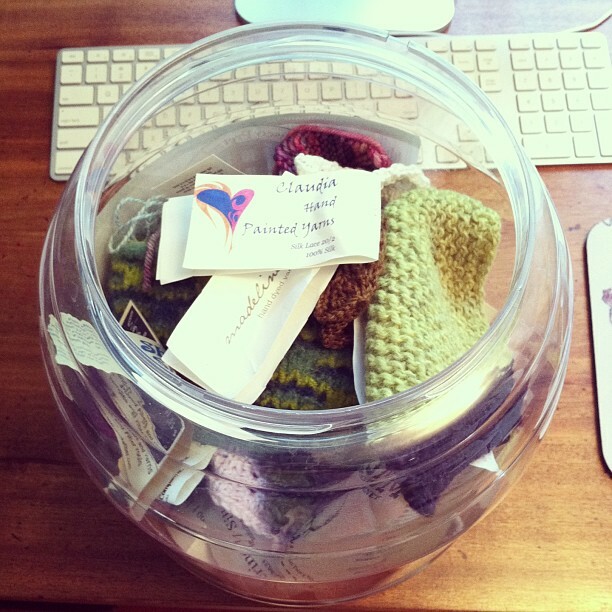 But I think it is small enough to fit nicely into a shoulder bag or knitting bag. I love mine so far!